George Lynch’s career have been a real rollercoaster throughout the years. The fact that the guy is one hell of a guitar player shouldn’t even be under any discussion, but the fact that he is partly responsible for some of the best Melodic Hard Rock records, might go under discussion from time to time. I say he has. As a member of Dokken, Lynch has been part of classics such as Tooth And Nail (1984), Under Lock And Key (1985) and Back For The Attack (1987) and when Dokken split, George took drummer Mick Brown and added bass player Anthony Esposito and his own find, brilliant lead singer Oni Logan, started up Lynch Mob and recorded the, today classic album Wicked Sensation (1990). The band’s second, self titled record from 1992 where singer Robert Mason (ex – Cry Of Love, today in Warrant), was good, but didn’t reach the heights of Lynch Mob’s debut. Lynch’ solo album, Sacred Groove (1993), featured singers like Glenn Hughes (Deep Purple), Ray Gillen (Badlands, Black Sabbath), Mandy Lion (WW III) and the Nelson brothers, Matthew and Gunnar, turned out to be a real killer. On the other hand, Lynch has been responsible for some of the worst crap I have ever heard in my life. He was held responsible for Dokken’s Grunge-goo Shadowlife (1997), a fact he has never denied. Don Dokken even offered to pay the money back himself to disappointed fans. Also, the nu-metal bandwagon jumping of the then reformed Lynch Mob (with a completely new line-up) on the album Smoke This (1999) was nothing but a big vomit. It was stunts like these that has gained Lynch a reputation as a bandwagon jumper, following the trends both in his looks and in his music. I believe that there are some truth in that as Lynch is now back playing Melodic Hard Rock in a time when that genre has re-established itself and both Grunge and nu-metal has more or less faded. But me, I’m happy that he is. He has in later years been involved with different projects like KXM with drummer Ray Luzier (Korn) and bassist / singer Doug Pinnick (King’s X) (reviewed here) and the fantastic album Only To Rise (reviewed here) with his and Stryper singer Michael Sweet’s project Sweet / Lynch. He has also kept Lynch Mob alive together with returning singer Oni Logan. Both Smoke And Mirrors (2009) and last year’s Sun Red Sun (reviewed here) proved to be very fine efforts that showed that Lynch is back on track again. 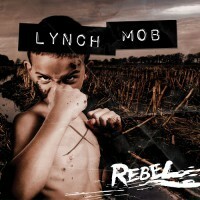 And to prove that Lynch Mob is not just an album project (they also feature bassist Robbie Crane (Black Star Riders) and Scot Coogan (Ace Frehley)) they have recorded a new album only a year after its predecessor. They kickstart the album with first single “Automatic Fix”, a great hard rocker with an alternative groove and an obvious Led Zeppelin influence. The well-known Lynch Mob is still there and there’s a killer guitar solo from Lynch in there. The song might not do that much at first listen, but it is a grower. Not the most obvious choice as the first single, maybe. “Between The Truth And A Lie” that follows sounds like it could have been a take-out from the second self titled record only with Logan’s voice instead of Mason’s – great track. “Testify” is single # 2 and this song isn’t that direct either. It’s a heavy blues groover with all the Lynch / Logan melodies intact. It might not be a hit, but it is a great track. “Sanctuary” is the first song to stick out style-wise, but I’m not sure it sticks out in a good way. The song is dark and depressive and I’m getting a Grunge feel here, not that far from Dokken’s Shadowlife. It’s an ok song at the most. “Pine Tree Avenue”, on the other hand, is awesome. It has an infectious groove, a damn catchy melody and a rocking beat – it’s actually a bit funky here and there – this is great stuff. “Jelly Roll” does its job as a 70’s hard rocker, a retro touch with a great flow. “Dirty Money” is one of those “goes nowhere” songs. It’s ok, but forgettable, I keep waiting for the song to lift a notch, but it never happens. “The Hollow Queen” lower the speed a bit. It’s a slow song, but not a ballad. It’s pretty heavy and the melody is somewhat on the psychedelic side. It’s an OK song, but I get the feeling that it could use some more work – it has potential but don’t reach the goal. “The Ledge”, however, is really good. It lies on the border to a ballad, but it’s more of an acoustic guitar based Pop / Rock – song with a 1960’s vibe. “Kingdom Of Slaves” is one the album’s best tracks. A heavy Hard Rock tune that beneath the classic Lynch / Logan melody lines lies a fine mix of Led Zeppelin and Black Sabbath. Closing track “War” is really good, an uptempo hard rocker with a magnificent melody that reminds me of the sound that Lynch Mob had on Wicked Sensation. This is the track that I would have used as the album’s opener if I was in charge. And maybe as the first single as well. This album is part great and part not so great. After the surprisingly fresh, vital and energetic Sun Red Sun, I had expected a bit more, to be honest. Among the killers we also get some fillers and the sad thing is that even some of the good tracks are somewhat forgettable. This is the way I felt about KXM as well, really good while listening, but afterwards, I have a hard time remembering the tunes. And speaking of KXM, some of the songs on this record reminds me of that project, but with Oni Logan singing instead of Doug Pinnick. The record sound a bit rushed and I get the feeling that they could have taken some more time to write more songs and sharpen some of the songs that ended up on the record. That said, the musicianship here is completely faultless. Lynch is still one of the greatest guitarists around and Logan has a wide range and a killer voice and together with the rhythm section of drummer Brian Tichy (ex-Whitesnake, Pride & Glory, S.U.N.) and bassist Jeff Pilson (ex-Dokken, Dio, Foreigner) who stepped in to replace Robbie Crane who joined Black Star Riders, they have built a tight foundation for the songs to stand on. Good album, but not great, but still a must for every Lynch-fan out there.